Today on the blog, we have a repost from the University of Chicago Medicine's Comer Children's Hospital. Trish Lawson generously shared her daughter's story with us. We know you'll be inspired by little Molly's surgical journey. 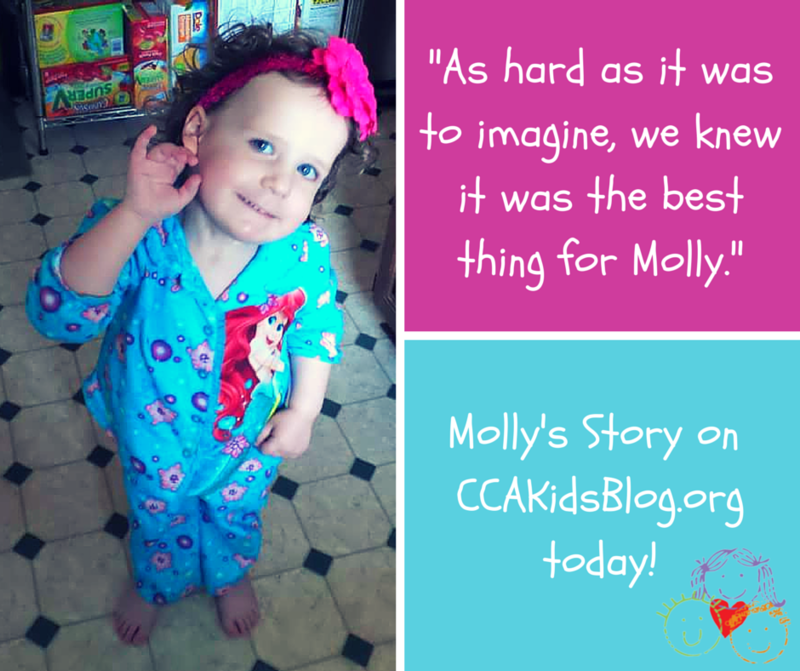 To see more photos of Molly, check out the story on the Comer Children's Hospital blog! Molly Lawson weighed a healthy 8 pounds, 5 ounces when she was born on October 2, 2012. But in her first week of life, she lost an alarming two pounds because of a rare birth defect that left her unable to easily breathe or swallow. Just after Molly’s birth to John and Trish Lawson of Hobart, Ind., doctors at nearby Franciscan St. Anthony Hospital in Crown Point, diagnosed her with Pierre Robin sequence. This congenital condition is characterized by a cleft palate as well as an underdeveloped jaw that pushes the tongue toward the back of the throat, where it can obstruct the airway. Neonatologists at St. Anthony’s recommended the couple bring Molly to experts at the University of Chicago Medicine Comer Children’s Hospital. Plastic and reconstructive surgeon Russell Reid, MD, PhD, and pediatrician Darrel Waggoner, MD, met with the Lawsons when they arrived at the medical center. Reid and Waggoner lead a multidisciplinary cleft lip and cleft palate clinic that assesses and treats about 20 children with mild to severe Pierre Robin sequence each year. “Molly was in respiratory distress and struggling to eat,” Waggoner said. “She was expending all of her calories for breathing, so nothing was left for growth.” The medical duo told the worried parents it wasn’t safe for them to bring their daughter home. Until recently, most patients with Molly’s condition underwent a tracheostomy, a surgical procedure that creates an opening in the neck into the trachea, or windpipe, to access the airway. A tube, or “trach,” stayed in place until the child’s jaw developed enough to allow an adequate airway. This could take several years, required a high level of care by the parents, and was not always successful. “In Molly’s case, we could offer her an implanted device that would advance her lower jaw,” Reid said. Called a mandibular distraction, the surgical method involves cutting the jaw on both sides and securing an internal device, or distractor, to the bones with tiny plates and screws. Small rods attached to the device exit through the skin. A tool inserted into the rods is then turned one to two millimeters each day, increasing the distance between the fractured bones. The bone naturally regenerates as part of the healing process and fills in the gaps. When the distraction process is complete -- usually in about two weeks -- the jaw has been brought forward and the tongue no longer blocks the airway. As Molly was being admitted to the Neonatology Intensive Care Unit (NICU) at Comer Children’s Hospital, Waggoner and Reid were calling on pediatric sleep specialist Hari Bandla, MD, and pediatric otolaryngologist Fuad Baroody, MD, to consult on her case and assist in a full evaluation before surgery. Within 48 hours, Bandla performed a sleep study on Molly to gauge the number of times her breathing paused (apnea) and to test her oxygen levels. Results showed an index of 39 apnea events per hour and oxygen saturation as low as 51 percent. Using a scope, Baroody examined her airway and evaluated the distance between her tongue and the back of her throat. “It was clear that bringing her lower jaw forward would improve her situation,” he said. These assessments gave Reid the critical information needed to cement the decision to perform surgery. After regaining weight during five days in the NICU, Molly was healthy enough to undergo the mandibular distraction surgery. On October 25, Reid implanted the device as Baroody worked alongside to ensure that Molly’s airway was secure and clear throughout the four-hour procedure. Molly recovered in the NICU where the medical staff turned the distractors twice each day, an uncomfortable, but not painful process for the infant. By the time she went home two weeks later, her jaw had advanced 2 centimeters, or close to an inch. The follow-up sleep study, done 12 days after surgery, measured only 2.5 apnea events per hour and 90 percent oxygen saturation. 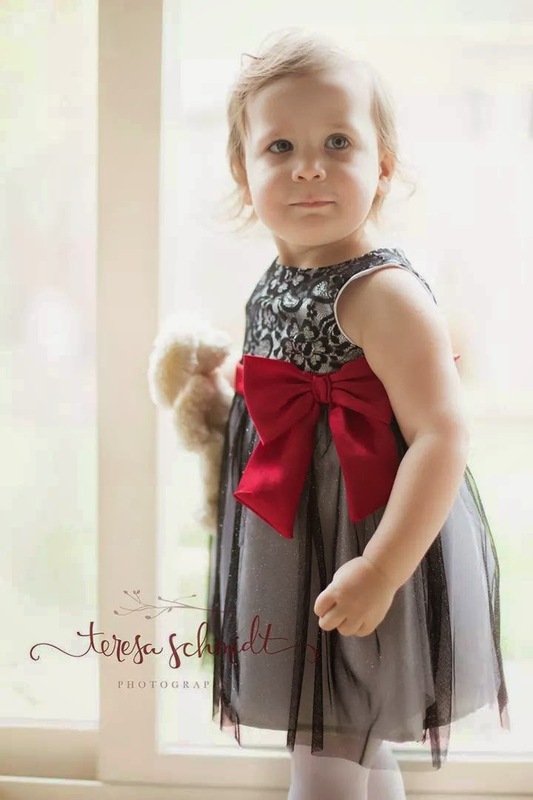 “Her breathing and feeding improved right away and the parents could see the difference in her appearance,” said Reid, who performed three additional surgeries on Molly over 15 months, one to remove the distractors and two to correct her cleft palate. Trish says while it was heartbreaking for the family to watch their baby wheeled into surgery each time, it was amazing so see how quickly she would bounce back. “It was the scariest situation we have ever been in, but also the most rewarding,” she said. Today, John and Trish describe Molly as happy, thriving and sassy. The little girl continues to gain weight and is reaching all of her developmental milestones. Molly is a Hero in my eyes very thankful for Dr. Russel Reid and Comers Children's Hospital for giving Molly a chance to live a long and healthy life. She should be an inspiration to everyone.